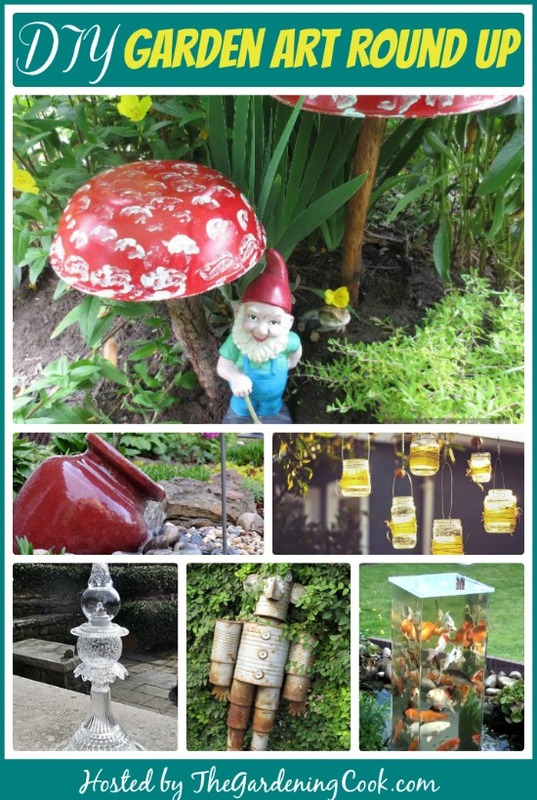 These neat DIY Garden Decoration Projects will add whimsical additions to any plain garden. Most of them are made using recycled materials for an extra “green” touch. 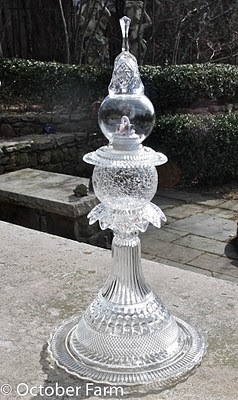 The projects are as simple as candles in Mason jars or as involved as the elaborate fish tower. Today’s projects include projects from some of my fellow bloggers. Be sure to visit their pages for directions to the projects. 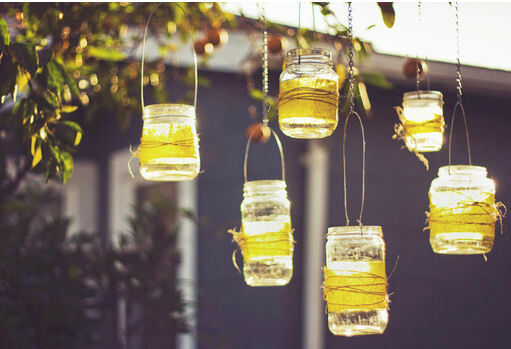 The Mason Jar Luminaries will add a lovely atmosphere to your garden setting. This is a photo from The Sweetest Occasion but has no tutorial. I found a great how to on Apartment therapy though. This Glassware Tower is made from recycled glassware. You can find lots of it at the local Good will. See how to make this pretty garden accent at October Farm. If you like rustic garden art projects, this is a great DIY project to try. Just gather your owl tin cans (the rustier the better!) 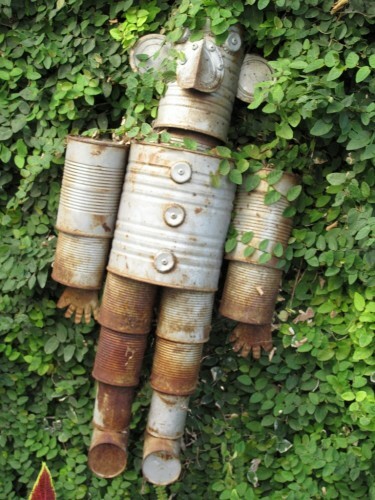 and make a Tin Can Man Decoration. See how at Worth the Whisk. My friend Melissa from Empress of Dirt is a master at making unique garden art projects. 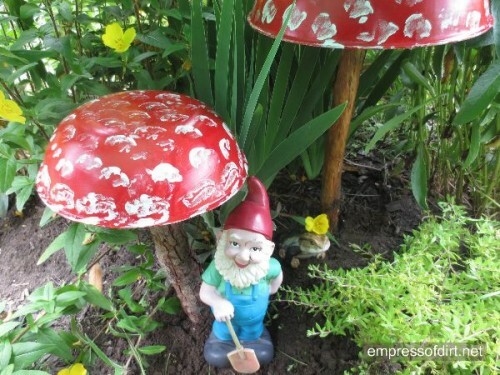 I just love these Mushroom garden ornaments. See her step by step tutorial here. 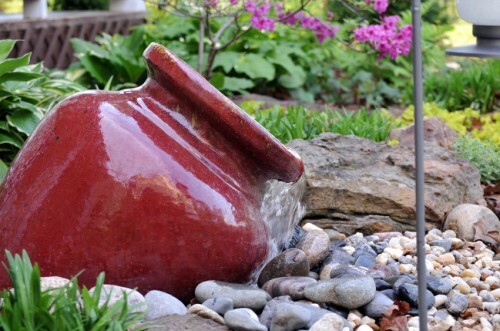 If you have a large and decorative garden pot, you can make this lovely Pottery Brook Fountain. Idea shared from She knows Home and Garden. For more gardening ideas, please visit my Pinterest Gardening Board. En mi casa hay jardin me gustaría colocar este pesera, que se ve soñada, muy hermosa. Those poor fish. 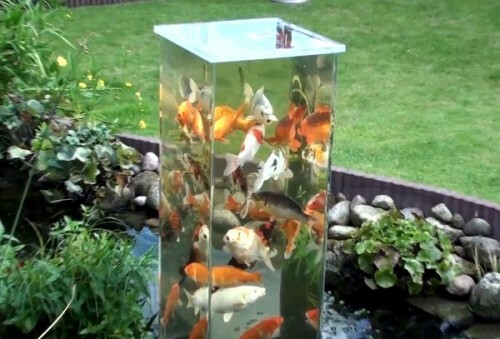 What a selfish decoration, cramming fish in a tower within inches of a pond. The tower is in the pond and the fish are swimming into the tower from their pond on their own… they can choose to swim into the tower and swim up to look over their pond and swim back down into their pond again. It actually gives them an opportunity to swim very deep depths and also have a panoramic overview of their pond. They can also choose to stay in their pond and not swim into or up the tower… it’s up to each fish. Each fish that decides to swim up for the view gives their humans a beautiful view of themselves as well at the same time. No fish is ever ‘crammed’ or trapped in the tower. Maybe read the plans next time before passing judgement on someone’s hard work and creativity which in fact is actually a benefit to the fish and a rare opportunity that most fish and the humans that enjoy them do not have the luxury of having. Fish are very visual creatures and in fact scientists have recently determined they are even capable of facial recognition… so I dare say the fish that decide to swim up into the tower are enjoying all that there is to see outside of a normally bland pond bottom. I love this idea. I didn’t like the comment a person made about being selfish and cramming the fish. I did like your explanation about how the fish interact with the tower concept. However, even though the comment was snarky, I felt like your explanation could have stopped before you got snarky. The world is full of people with tunnel vision and preconceived opinions, and forgetting to get up on the right side of the bed. I love the idea of a fish tower, I just put in a pond in my own yard. How do you fill the tower with water? Great piece of art. I love this garden area design. Thanks for sharing.